2018 Golf Show Issue of Midwest Golfing Magazine. The VPRO DLXS is recognized as a “Must Have” product following the PGA Show. 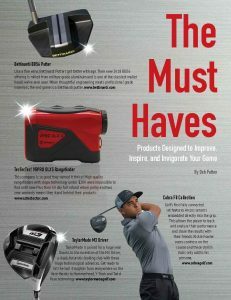 Previous post: TecTecTec golf laser rangefinder featured on The Golf Guide Magazine.